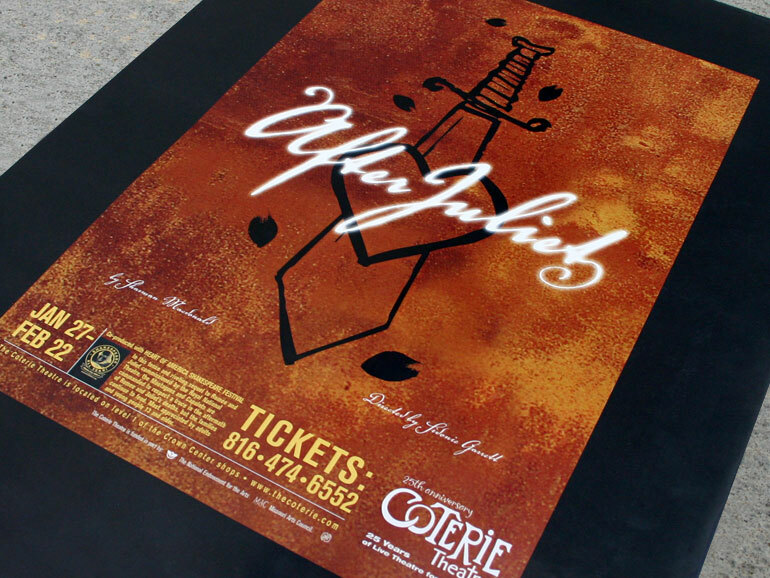 The Coterie Theatre is a non-profit organization established in 1979 with the following mission: To provide professional classic and contemporary theatre which challenges audience and artist and to provide educational, dramatic outreach programs in the community. We seek to open lines of communication between races, sexes and generations by redefining children’s theatre to include families and diverse audiences. 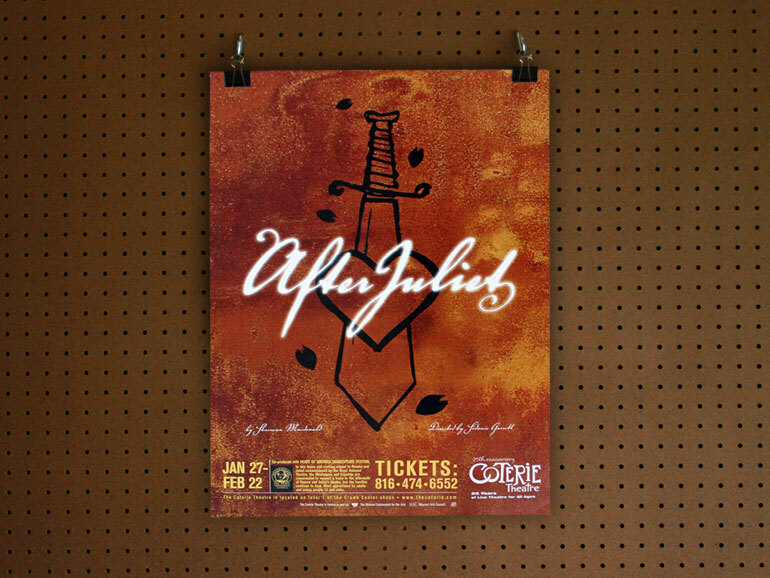 In partnership with The University of Kansas Design Department and Kuhn & Wittenborn Advertising, I was fortunate enough to design a poster for the performance After Juliet. 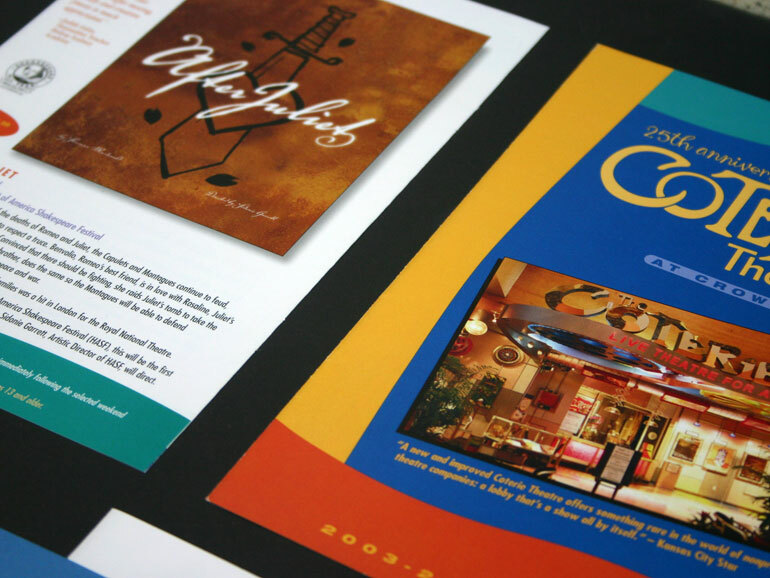 give us a call at (913) 515-6348.